Jean L. Schweinberg (nee Penson), 94, of Lorain, died Sunday January 20, 2019 at Denise’s Adult Home Care in Lorain. 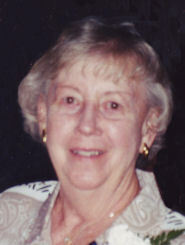 She was born July 13, 1924 in Lorain and had been a lifelong Lorain resident. Jean graduated from Lorain High School with the class of 1942 B. She worked in the Payroll Department at Thew Shovel Co and then as a clerk at Higbee’s department store. She and her husband Don enjoyed traveling and camping in their R.V. and had visited all 50 states. They also traveled abroad and had visited many European countries. She enjoyed the amusement and companionship of several cats over the years as well as sitting at Lakeview Park with her husband watching the lake and lighthouse. Jean enjoyed bowling and participated in several leagues at Shoreway Lanes in Sheffield Lake. She enjoyed photography, gardening, crafts, reading and going to the YMCA. She was a member of the Black River Trailblazers camping group in Lorain, where they would meet on camping trips, attend the theater and meet for lunch, and the Buckeye Rovers camping club in Cadiz. She is survived by her children Paul K. (Linda) Schweinberg of Amherst Township and Donna L. (David) Cameron of Bluffton, South Carolina; granddaughters: Kelly Cameron of San Antonio, Texas, Carrie Cameron (Shawn Mendham) of Wadsworth and Stacy (Evan) Berliner of Rocky River and great grandchildren Logan, Isla, Kai, Marin & Reagan. She was preceded in death by her husband of 61 years Donald J. Schweinberg in March 18, 2007, parents Roy E. & Catherine Penson (nee Walper) and sister Betty Jane Wilson.